The New York Times has an article by Jim Robbins about snowy owls heading much further south this winter than in previous years. I doubt they will reach Virginia, but who knows anymore. Keep an eye out. Happy Chinese New Year! The Year of the Dragon. Goodbye Mr. Rabbit. Last night we went to Ashland Coffee and Tea for the 3rd annual Djangoary Music Soiree. We had a great time and are looking forward to next year already. The photo above was taken after the 3 acts played their sets and they all got up on stage to play together. Afterwards the musicians went across the street to play some more, but it was getting too late for us and we headed south on 95 back home. The video above is from the 2011 Djangoary celebrartion and was uploaded by gregrubyguitar. The Woodshedders are playing “Catch That Yardbird” from their first cd. We bought both of their cds and they were great! I hope we don’t have to wait another year to see the Woodshedders! They would be a good addition to the Richmond Folk Festival. The 3rd annual “Djangoary” DjangoFest! @ Ashland Coffee & Tea – Ashland, VA – January 21st, 7pm. In celebration of the Gypsy jazz musician Django Reinhardt during his birthday month of January. 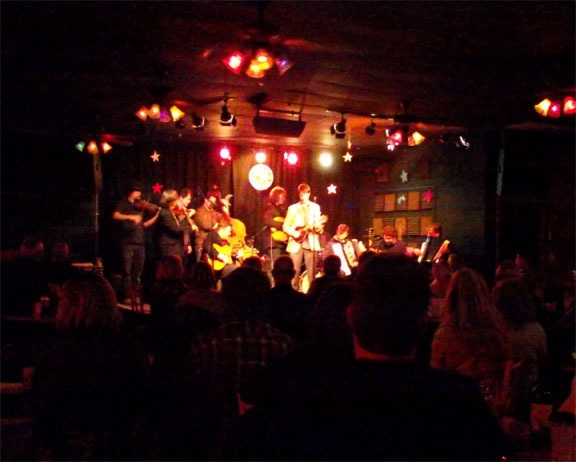 Djangoary Music Soiree with The Dallas Vietty Musette Project, Gypsy Roots & the Woodshedders! 3 great acts celebrate… it’s Django ‘s Birthday on Jan. 23!! 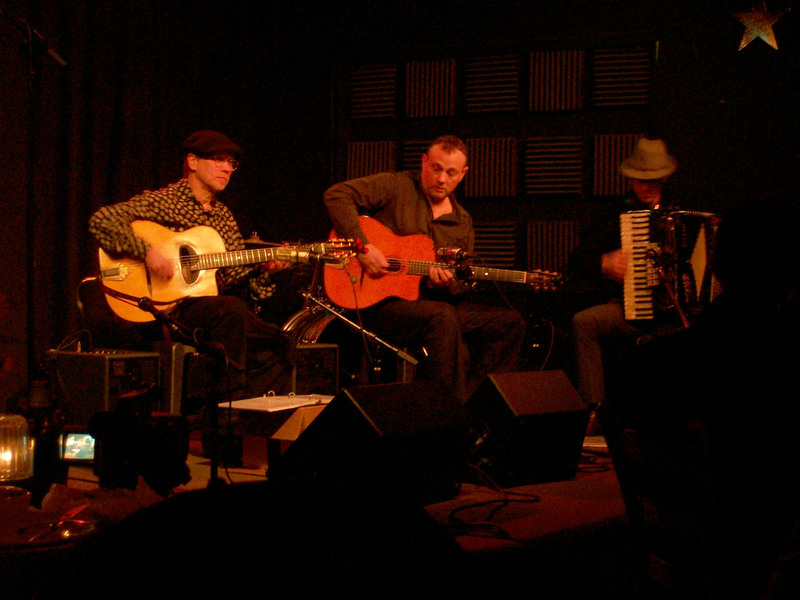 One of the first prominent European jazz musicians, Django Reinhardt remains one of the most renowned jazz guitarists. Photo by Kozmicdogz ~ 401st blog entry! Yay! Time catches up with everyone eventually. 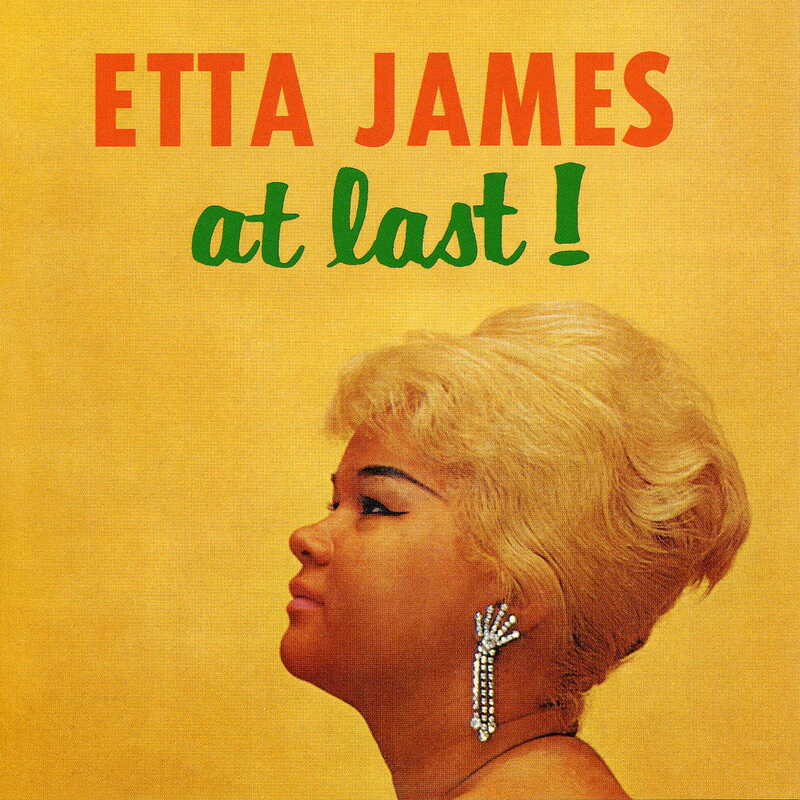 Blues-jazz singer Etta James passed away today January 20, 2012 at the age of 73. 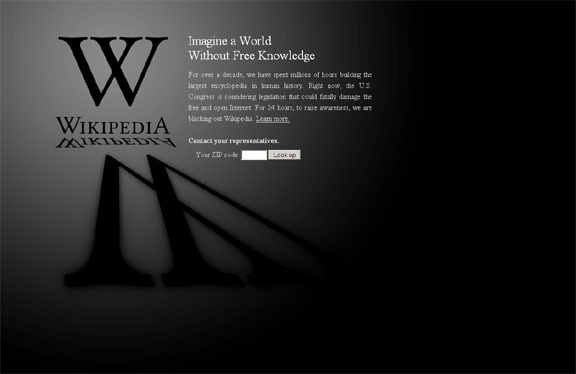 BoingBoing And Wikipedia Go Dark! 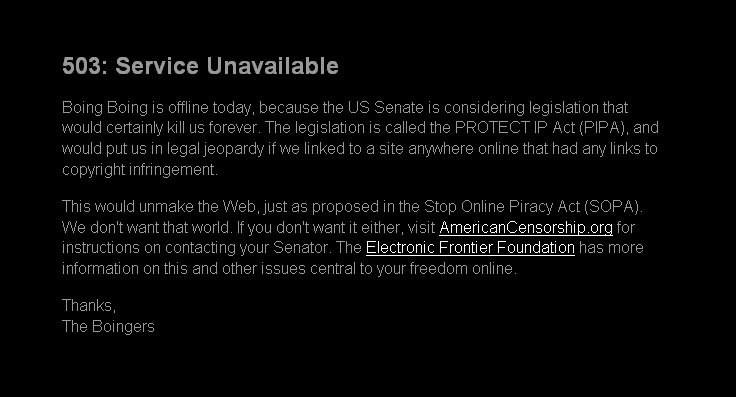 In protest to the two bills before Congress, SOPA and PIPA, BoingBoing, Wikipedia, and other websites have gone dark today. This is a strong message to congress to back off. This is the first time that this type of a protest has been organized, but not really organized, it has grown organically. Will this same technique be used in the future? And will it be used for non-internet related causes? I think it will be very effective. Lori Ellison – Art Show in the Big Apple. Our good friend Amy Crehore blogs about Lori Ellison’s new show in NY. There is also a link to a video of the opening on Amy’s blog. 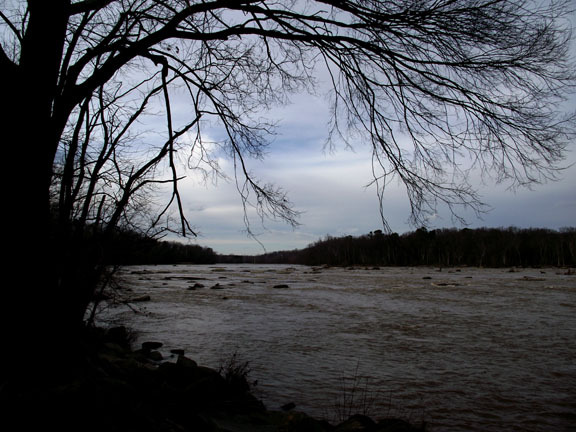 Both Amy and Lori studied art in Richmond at one time. Looking up river late afternoon, on a cold day in January. All rights reserved 2012 – kozmicdogz.